The new regulations impact how physicians treat motor vehicle accident injures and were developed with input from Doctors of BC. The changes include: new forms and processes, new and updated treatment fees, and greater clinical autonomy for physicians. Please see ICBC’s Business Partners page for more information. You can also email icbc@doctorsofbc.ca if you have any additional questions or concerns. 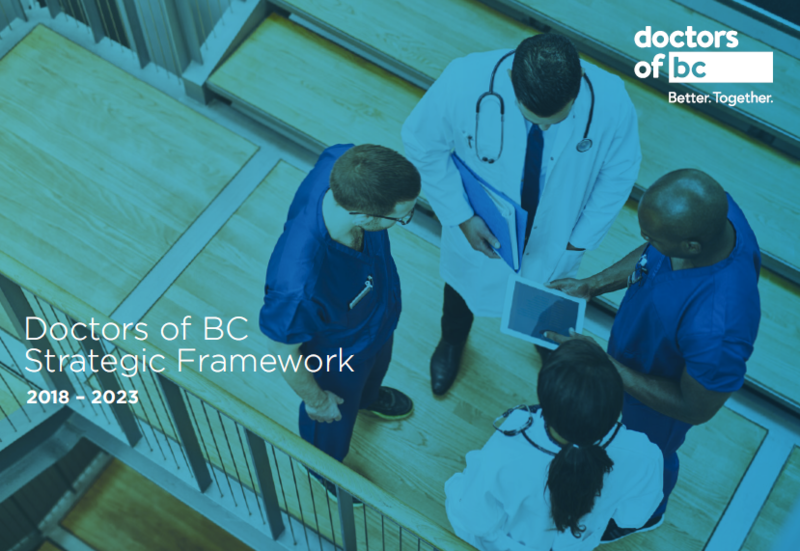 Doctors of BC will be releasing an updated fee guide that outlines new processes, rules, and FAQ regarding invoicing and billing. ICBC’s FAQ for physicians will be continually updated with useful information as it becomes available. The Civil Resolution Tribunal (CRT) will now be managing ICBC appeals. The CRT has produced posters, quick facts and rack cards for physicians to have on hand in their offices. These materials are available for download from this website. For information on invoicing and reporting, ICBC’s Physician page contains information on submitting invoices for patients, changes to reporting, and how to obtain your vendor number. To address the frequently asked questions around the vendor number process, ICBC has developed a vendor number FAQ document. The new ICBC Report templates will be embedded in many common EMR solutions as of April 1. Additionally, the Reports may be accessed from the Reports page on ICBC’s Business Partners site. ICBC will not be accepting submissions with these reports until April 1. If you are sending an initial medical Report to ICBC without a formal request from them, you must have patient consent to pro-actively share their personal information. ICBC is encouraging physicians to send information to them this way as it will help streamline workflow and payment. One way to collect patient consent is to have your patient fill out a consent form. Please click here for a template created by the Doctors of BC. On April 1, ICBC will be the primary payer for treatments listed under schedule 3.1 of the regulations ICBC. Fees in excess of the regulated rate (user fees) may be payable by third party health benefits providers. User fees will not be recoverable from ICBC for claims with a date of loss April 1, 2019 or after. To ensure you are getting the full functionality of the upgraded Business Partners pages, take a look at the site requirements page. Visit the UBC Continuing Professional Development website, where you can register for webinars to guide physicians and MOAs through the changes. Due to high demand, additional webinars will be offered if the sessions are full. You can also visit ICBC’s Business Partners site. How is the new cap of $5,500 applied to my patients? The new regulations for patients with minor injuries will include a cap on the cash payout offered by ICBC for pain and suffering. It’s important to note that the payout limit of $5,500 only applies to compensation for the emotional distress and inconvenience of being in the crash (pain and suffering) portion of a claim, and does not affect any other aspects such as wage loss or medical care. In addition, patients will be entitled to medical treatments, wage loss and home maker benefits. The enhanced care model includes more choice in types of treatments, including kinesiology, acupuncture, massage therapy and counselling. The overall allowance for medical care and recovery expenses will double to $300,000 to better support patients injured in a crash. ICBC will also pay more per treatment based on fair market rates and customers will no longer be out-of-pocket for most expenses. Who decides if my patient has a minor injury? Physicians will provide a diagnosis to ICBC, and based on the new regulations, ICBC will make an assessment on the patient’s minor injury classification. It is important to note that a diagnosis may change over the course of the injury, and ICBC will accept new information to support a changing prognosis. If the patient disputes ICBC’s assessment about their injury claim, an independent dispute resolution process will take place through the Civil Resolution Tribunal (CRT) for crashes occurring after April 1, 2019. What if my patient has a minor injury for longer than 12 months? If a minor injury causes serious impairment beyond 12 months, it will no longer be subject to the payment limit on pain and suffering. What about forms and reports? As of April 1 2019, the CL-19 form will be discontinued. A new set of forms, designed with physician input, will be introduced and align with the needs of your patient. These new forms will also integrate with your EMR and serve as the patient record thereby eliminating the duplication of patient records.